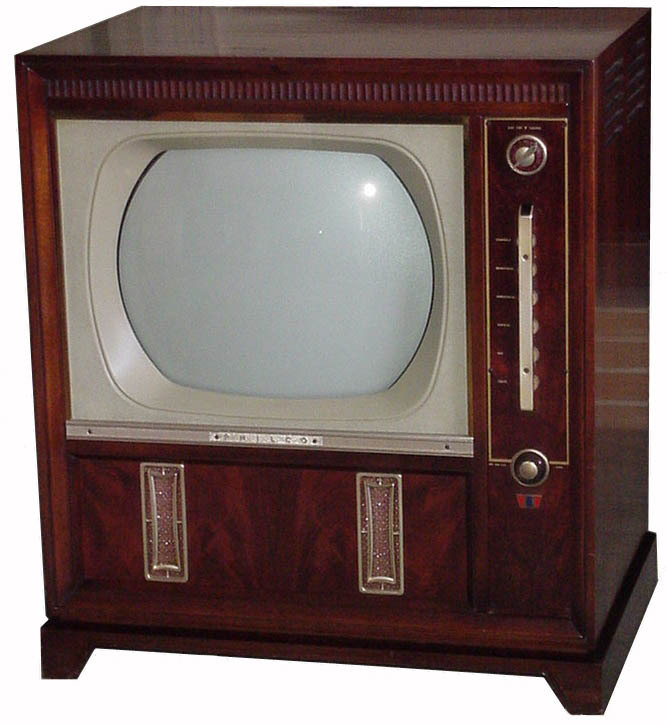 The Model 22D5102-123, also referred to as the TV-123 which is actually the chassis number, was the first production color television by Philco (1956). Only 500 of these sets were said to have been manufactured. This set was acquired from the original owner in California, it was an unclaimed prize on a television game show in 1956, the owner was an ABC network employee and acquired it at that time. This unit has both VHF and UHF tuners, it appears that the Model 22D5100 was VHF tuner only, and the Model 22D5102 has VHF & UHF tuners. The UHF dial is projected into the small window on the top of the decorative trim piece covering the controls. The VHF fine tuning knob is used to tune the UHF tuner by a dial cord assembly when the UHF range is selected. 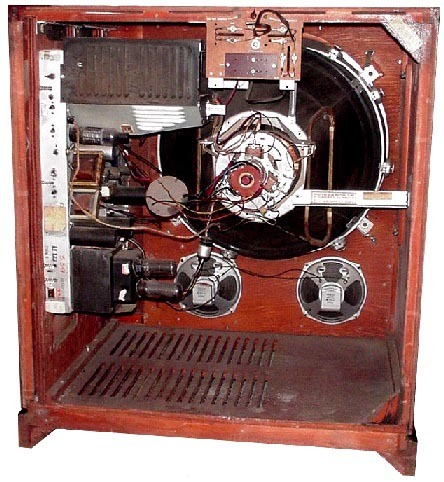 The unusual speaker grill configuration is what Philco called "Phonorama Acoustic Lens System"
The circuitry in this set bears no resemblance to the 1953 field test set, it appears the Philco engineers started all over again with this set. Presently only six complete sets are known to be in the hands of collectors and two chassis. I would appreciate information on any additional surviving sets. It appears these sets are much rarer than any other 21" color sets. Two of these sets may be pre-production units as there are no serial numbers or other identification stamped on the chassis, and one has an additional control mounted to the rear of the chassis. The others carry serial numbers, 299, 326, 354, 356. Some additional information has been found relating to this set. 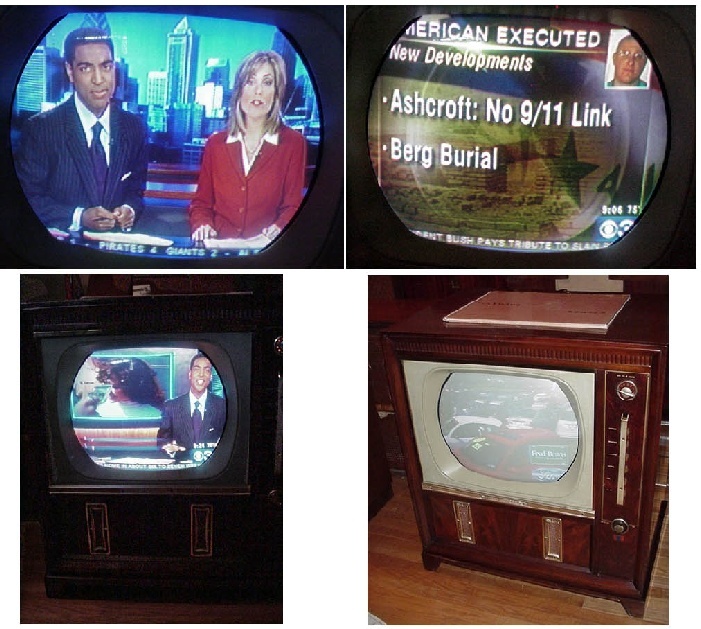 There were two models that preceded the model TV-123, named TV-121 and TV-122. The model 121 appears to have been first designed in October 1954 and possibly one unit was constructed as there is a hand drawn chassis layout on the same sheet as the hand drawn schematic and a video IF padding procedure report. The schematic shows a few custom numbered tubes, SR1789A HV Regulator, SR1821 HV Rectifier, SR1826 LV rectifier. 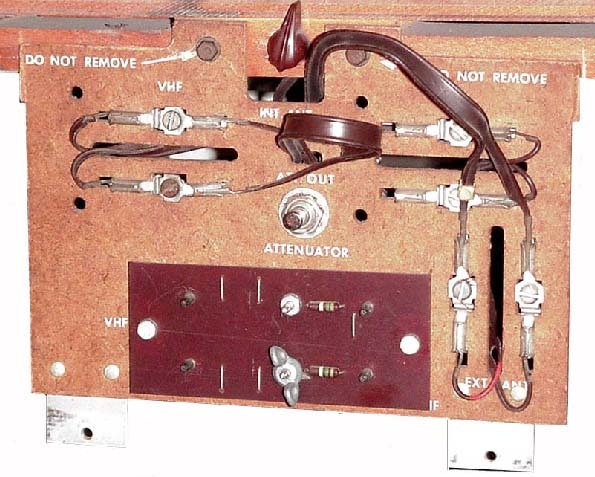 The model TV-122 appears to follow around March 1955 with a few changes from the model 121 schematic. The model 123 followed in April 1955, the schematic is drafted and there are no custom numbered tubes, circuitry is pretty much identical to the model 122. We also have acquired an immense amount of documentation on the Philco "Apple" color receiver project, which ran from 1950 until it was scrapped in 1960. All of this information will be posted on this web site as I am able to scan and convert it into PDF format. Screen shots of the set after restoration. The chassis is mounted to a separate board that allows it to be slid in and out for repairs. Tube count is 32 plus CRT, the CRT is a 21AXP22. Go to chassis pictures. The antenna terminal board has connections for separate or combined VHF/UHF antennas. For strong local signals a signal attenuator can be connected to either input. The knob at the top center is connected to a built in antenna.